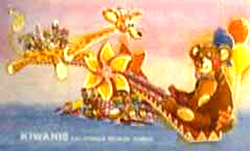 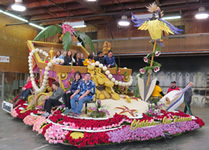 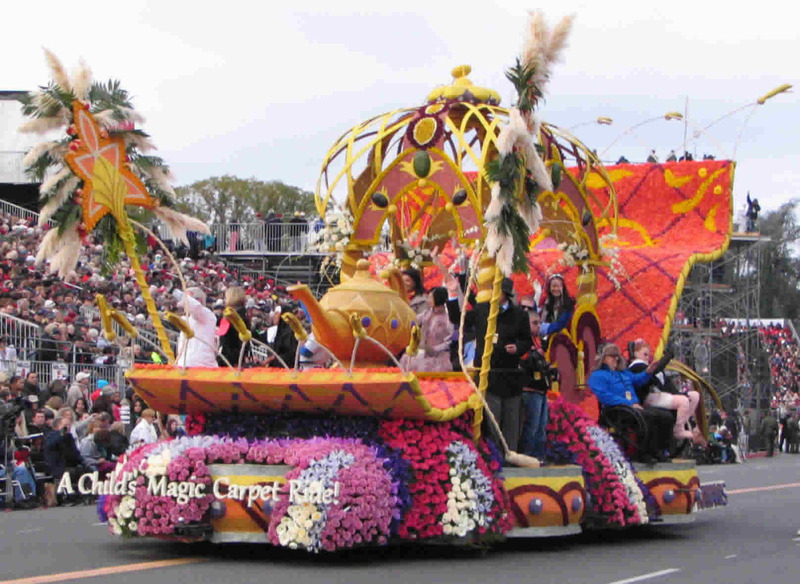 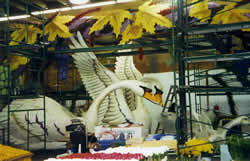 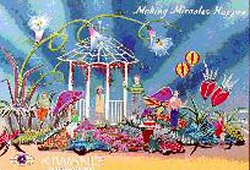 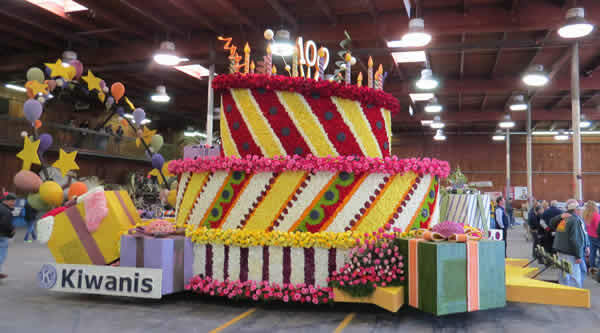 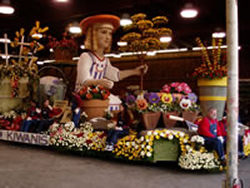 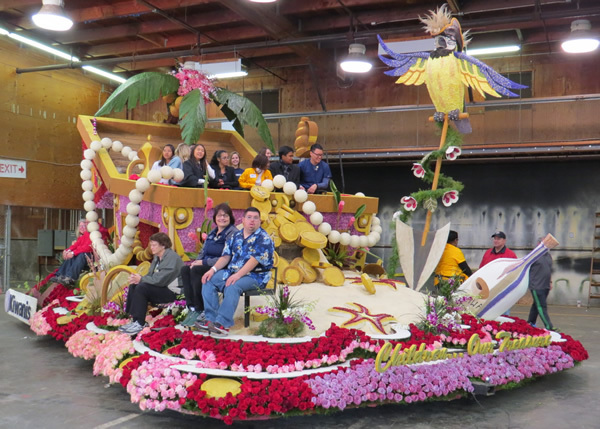 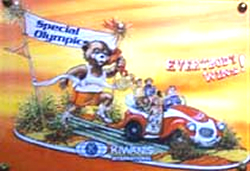 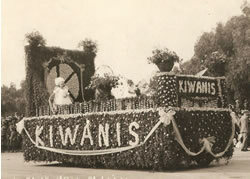 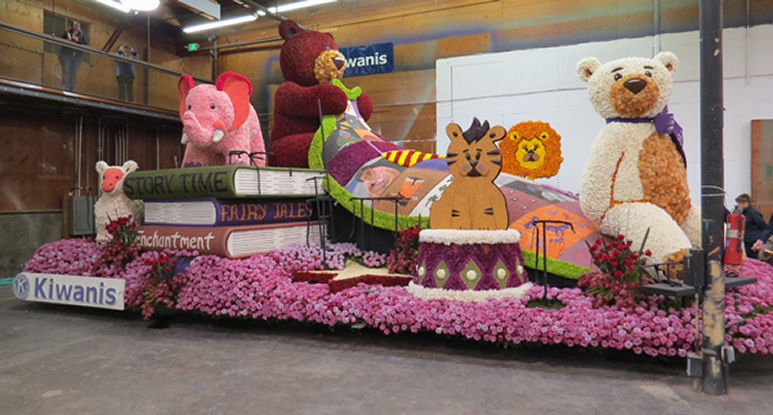 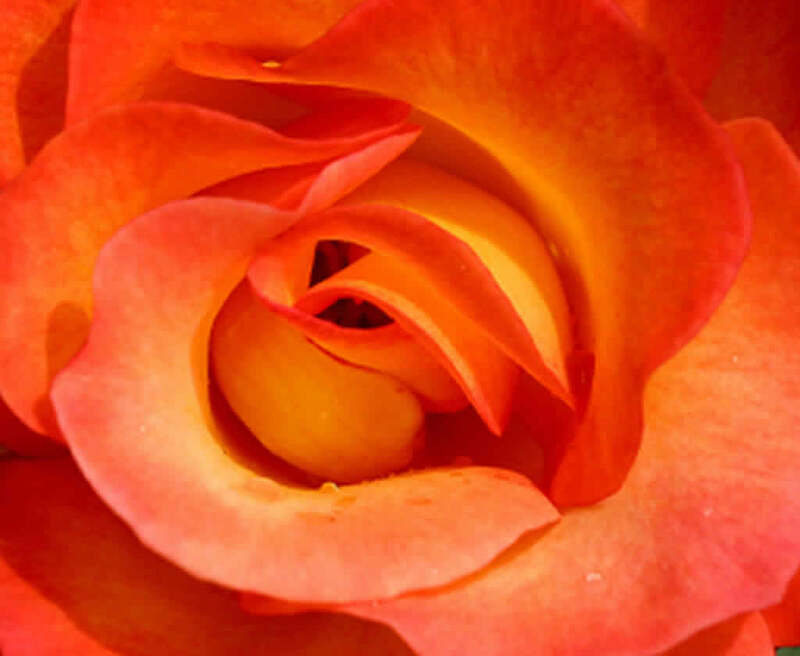 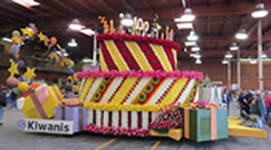 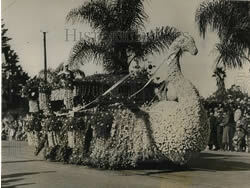 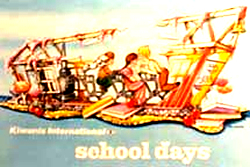 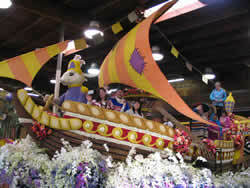 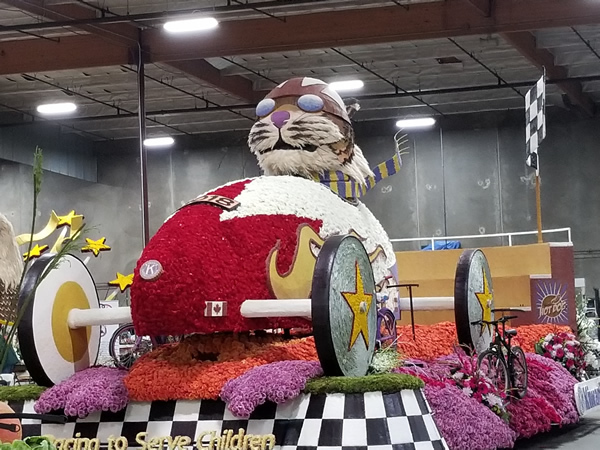 The first Kiwanis float in a Tournament of Roses Parade appeared in 1965 when the organization was granted a special permit because it was celebrating its 50th anniversary. 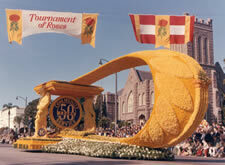 It wasn't until 1986, however, before Kiwanis' application reached the top of a waiting list, and Pasadena Kiwanian and tournament committee member Reid Allen helped establish its permanent position in the parade. 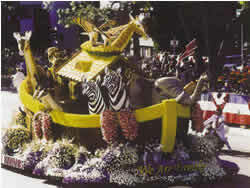 Homer Maertz, a member of the Kiwanis Club of Lake Forest, California, raised enough money to pay for the 1986 float: two large ostriches with their heads stuck in the sand. 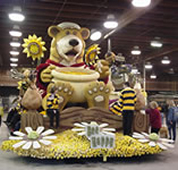 Sponsorship responsibilities was transferred to a district-wide committee under the leadership of Past District Governor Wayne Hoeft, who chaired the committee for 18 years. 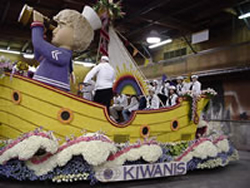 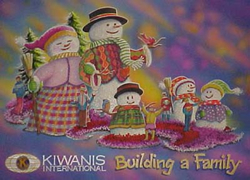 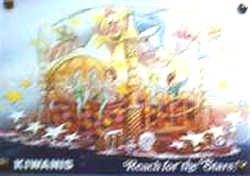 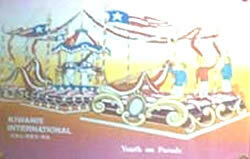 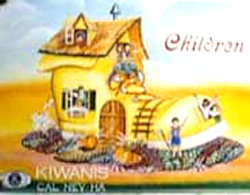 More than 6,500 Kiwanians and sponsored youth volunteers now are involved in building the Kiwanis float, as well as several other parade entries.